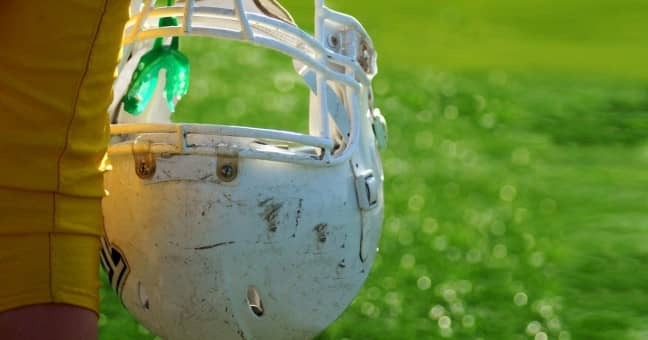 It’s the news thousands of former NFL players have been waiting to hear since the concussion settlement was initially agreed upon in 2013: the first claims in the settlement were officially approved. Two unidentified players were approved for qualifying diagnoses that netted a combined $9 million in benefits, according to Barry Wilner of the Associated Press. One payout was approved for the maximum amount of $5 million on May 26 for a diagnosis of amyotrophic lateral sclerosis (ALS), which is also known as Lou Gehrig’s disease. The second payout of $4 million was for a diagnosis of chronic traumatic encephalopathy (CTE). It was approved June 5. The amounts indicate that both men played at least five seasons in the NFL and were diagnosed with the qualifying issues before the age of 45. Since CTE can only be diagnosed through an autopsy postmortem, the family of the player will collect the $4 million payout. A joint status report filed by the class and the league notified the U.S. District Court for the Eastern District of Pennsylvania on Thursday that the claims were approved. Although the settlement was initially reached in 2013, disputes and attempts to appeal the terms held up the agreement until late last year. In February, registration for the settlement program opened with an unusual press conference held in conjunction with the court, lawyers and the NFL. Since the registration period opened, more than 14,500 class members have filed for benefits. That’s more than 70 percent of the estimated 20,000 former players who could be eligible. All eligible players and their families must register to receive benefits before the Aug. 7 deadline. The process for submitting claims for monetary awards opened on March 23. The actual amount players may receive depends on the diagnosis, time in the league and age at diagnosis. Those suffering from degenerative diseases like CTE, ALS, Alzheimer’s disease, dementia and others may receive monetary awards. Although the highest award is $5 million, the league estimates the average financial payout for the roughly 6,000 players with qualifying diagnoses will be around $190,000. That brings the settlement to potentially more than $1 billion. All retired players who played at least a half a season in the NFL and who signed up for the settlement are also eligible for participation in the baseline assessment program. The league agreed to offer baseline neuropsychological and neurological assessment examinations to see whether players were suffering from unknown or undiagnosed cognitive impairments. Not only do the tests allow for the potential diagnosis of a qualifying disease that would earn a monetary award but they also aid in the research of cognitive impairment and future injury prevention. Seeger encouraged every player to get tested when the registration period first opened back in February. The administrator of the baseline assessment program has contracted with 141 qualified providers in 42 cities nearest where most retired players live to conduct tests. Although the vast majority of players opted into the settlement, 146 players and their relatives have chosen to opt out to pursue separate litigation. This includes the family of linebacker Junior Seau, who committed suicide in 2012. He was later found to have suffered from CTE. Another family that opted out of the settlement was the estate of defensive back Arthur DeCarlo, who played in the NFL in the 1950s and died in 2013. The case is the only one that is not in federal court. Last month, the NFL tried to block discovery associated with what it knew about the risks of concussions. It also filed an appeal to a January decision not to dismiss the DeCarlo case currently in New York state court, according to Sports Business. The league said discovery for the state case should be coordinated with the Eastern District of Pennsylvania federal court. As part of the federal settlement agreement, the NFL admitted no wrongdoing and did not have to reveal what it knew about potential risks of head trauma.